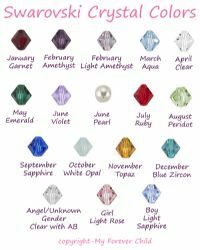 You can add additional Swarovski Crystal dangles to charms by ordering here. Add an additional crystal dangle onto any item or chain for $1.50 each. Select the crystal color from the drop-down box below. State which item it should be attached to in the text box below.